As some of you might know, I'm a Uni student (biochemistry to be specific) in Belgium. One of my friends from Uni, Wauter, started blogging around the same time I switched this blog to English. It's been a great experience discussing the blogosphere with him and having someone close by who can relate to all the troubles, hard work and truly wonderful times this blog has given me. Same as me, Wauter has chosen to blog about his passion, but where mine is Fantasy books, his is all about music. I'm a big fan of Wauter's blog and I'm really proud of how he has made it grow since he first started it last year. A while ago Wauter and I were discussing doing guest posts for each other and ultimately this idea took on a life of its own and has grown to what I'm here to tell you about: a takeover. We thought it would be great to experience each other's different passions and how that translates to the blog. We want to give our own spin to some regular post on each other's blogs. 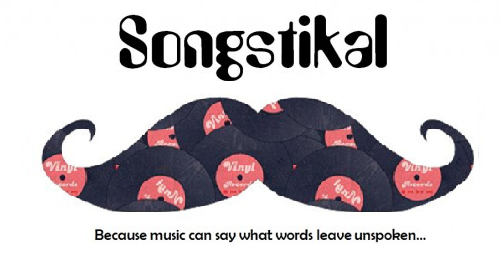 So this week you'll see two posts written by Wauter (this will be clearly stated in the post itself) and I'll add a link to posts I've made for Songstikal, Wauter's blog. What can you expect from Wauter? Well, he agreed to read a book by one of my favourite authors: The Warrior Heir by Cinda Williams Chima, and he'll make a post discussing it in his own way on Wednesday. On Friday he'll give us his perception as an "outsider" on Fantasy books and reading in general. On Tuesday there'll be a Release Tuesday post by me, a long one to make up for the post I missed last week due to me being sick. There may also be a review on Thursday, by me, depending on how much time I'll have to read this week. Saturday I'll be introducing my very first Grimm-post where I'll be discussing one particular Grimm fairytale. I'm going to try to make this a regular post, so Saturday = Grimm day! It's hard for me to descirbe myself 'cause I'm a bit afraid to sound conceited but if a good friend like Cindy asks me... No problem! There are a few things in life I really like and those are nice people, humour, music, good food, travelling and my inner nerd says me I like science too! Most of the time I can combine those things in life which makes me even more happy! I have fun with good people, check out new music with friends, go on a journey with the people I love, eat some dinner with a lovely person... And all of that tastes just better when you add some jokes and fun to it. I love sarcasm and I like to make fun of myself. I try to put things into perspective as much as possible even if that means I have to make fun of myself. Of course next to fun and laughter there are some other feelings too and that's why I have music. It can make me happy, help me understand situations in life, make me calm down... it just sometimes feels like it understands me. Sounds weird but it is a fact I think. In fact, you know, I just try to be a good person. It's a cliché but isn't it what we all want to be? Actually I missed some creativity in my life. I went to Univeristy and I didn't get any course like Music or Art anymore so I was looking for something new in which I could let all the creativity in my head come alive. Why did you chose to write a music blog? Well, I was always looking for new music on the internet and I was(and still am actually) always one of the people who knew all the new big hits. I used to post them on my Facebook timeline and some people just kept asking me 'How do you always find all those songs?'. So that's basically the reason why I wanted to share my passion for music with the world. How was the blogging-experience so far? Well, I must say, I like it a lot! It takes a lot of time but I think it's worth it. I learned a lot of how other people think about music and what they are looking for in music. That's also one of the reasons why I changed the system of my blog last October. More structure, more my opinion, faster and even a more alternative. 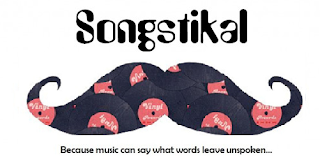 I'm obviously still searching my own spot in the blogging scene but step by step I and Songstikal get more and more our own identity.